Read step 1 here and step 2 here. 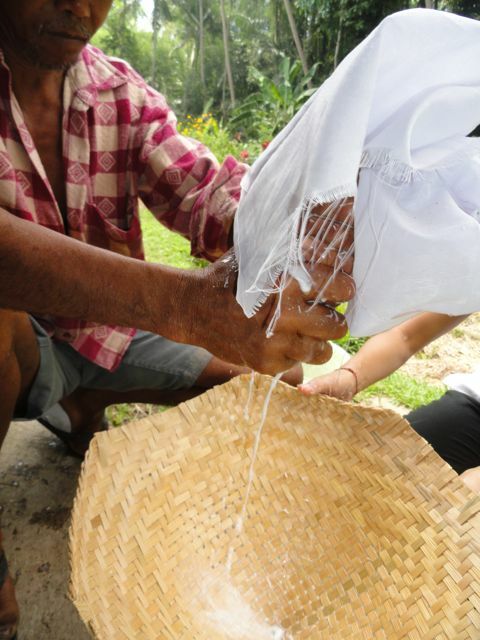 Once the coconut flakes have been produced, we Fresh spring water is added to the flakes and the liquid then extracted by hand. 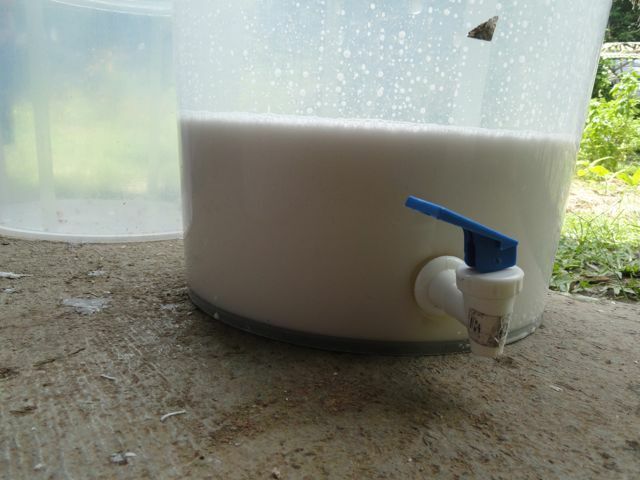 It is then filtered thru a fine piece of fabric and the water is allowed to settle on the bottom of the container. 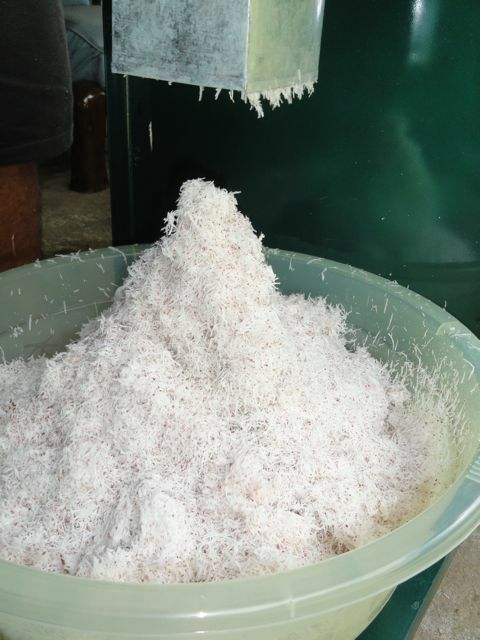 This process of filtering is done 12 times to produce the delicious virgin coconut oil, a health food and natural medicine. Unlike the cooking coconut oil, which is extracted by heat, the virgin oil never exceeds the temperature of 30 degrees. Now that you’ve made it to step 3, we’d love to hear about your experience in using this method. Please comment below and share – we’d love to connect with you! 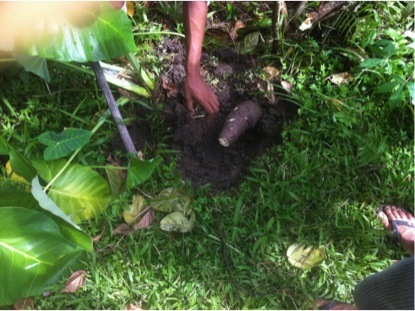 In our previous post, we began guiding you in how to produce virgin coconut oil in a step by step process. Be sure to check out step 1 here! 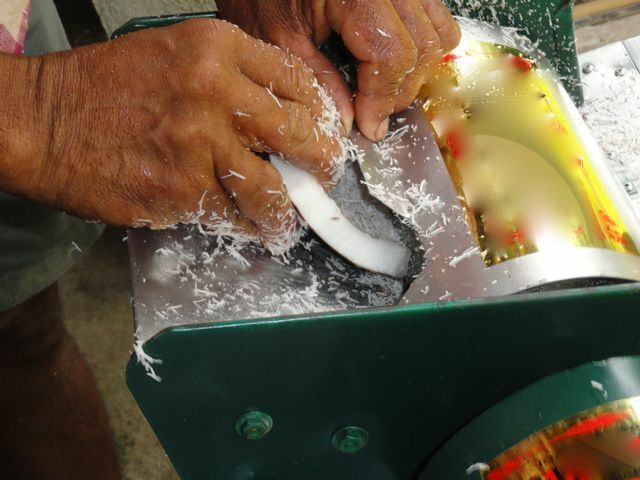 Once the outer and inner shells of the coconut have been split open, the coconut meat is carefully extracted by hand from the inner hard shell. 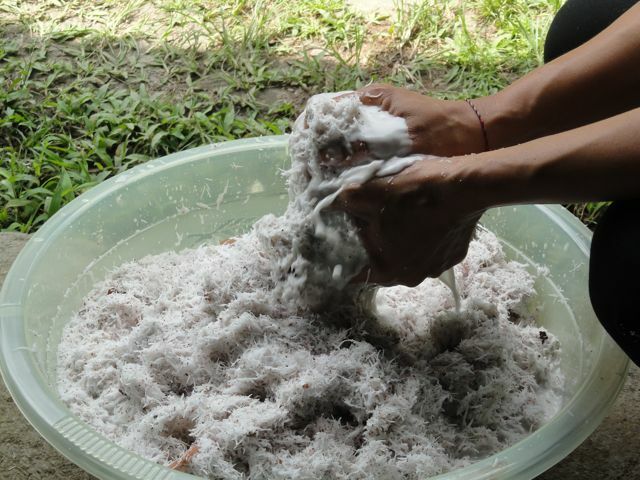 The fresh meat is then ground into coconut flakes with an electric grinder, fed by hand. Keep following along with step 3 here. Have you tried this step? How did it work out for you? Comment below and let us know! 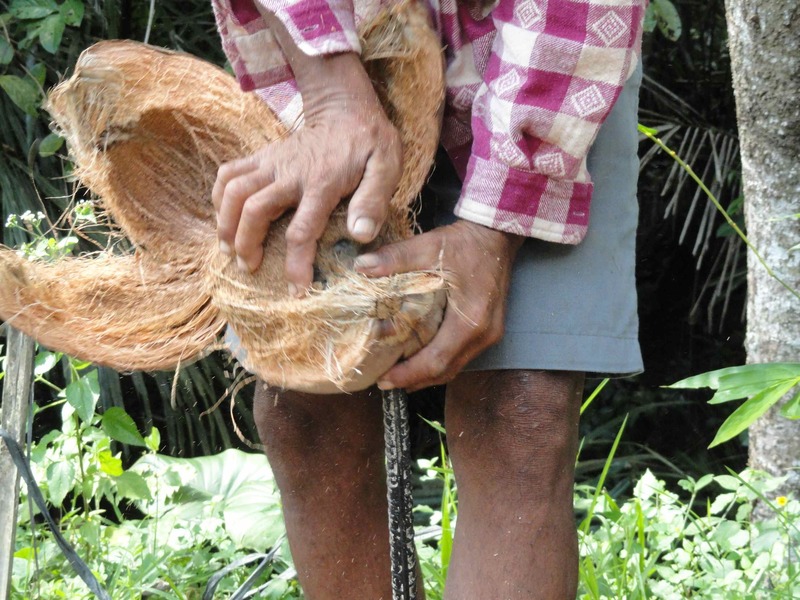 To produce virgin Balinese coconut oil, the coconuts must first be totally ripe. 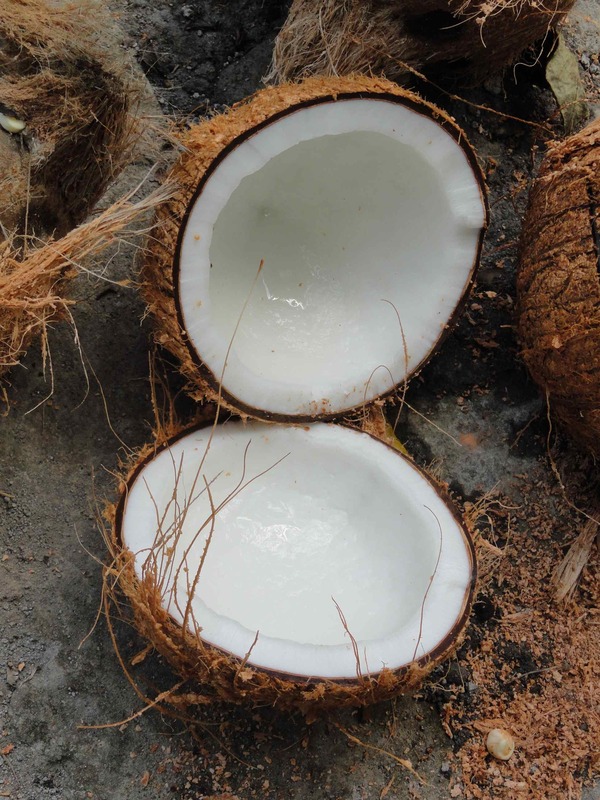 Tip: The young green coconut is full of delicious water. 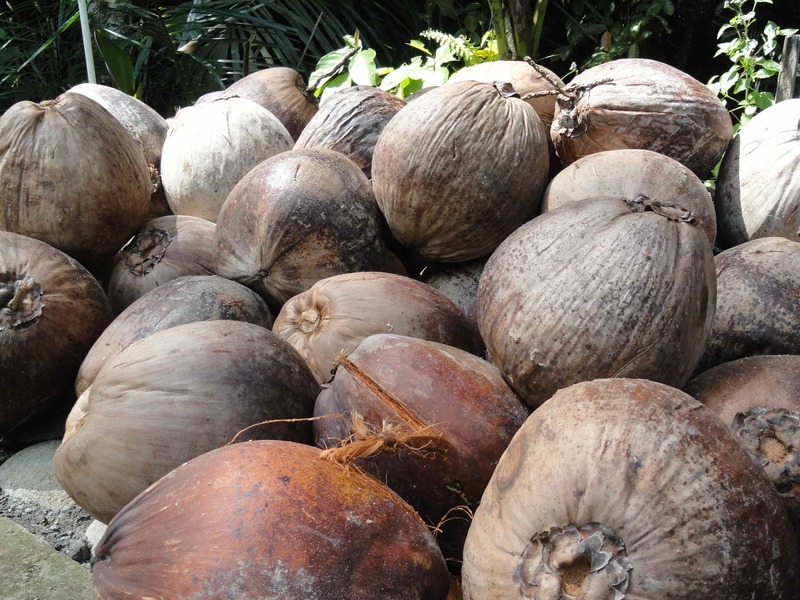 The dark brown one has ripened and is full of rich white coconut meat. From this meat the oil will be produced. The outer shell is opened and its small, tan colored fibers become visible. This shell can be used for many different purposes. 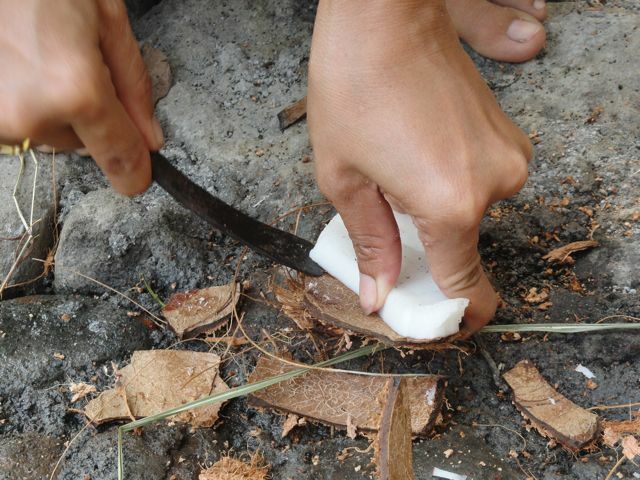 For example, you could get crafty and make your own floor mat or use the shells simply as firewood. 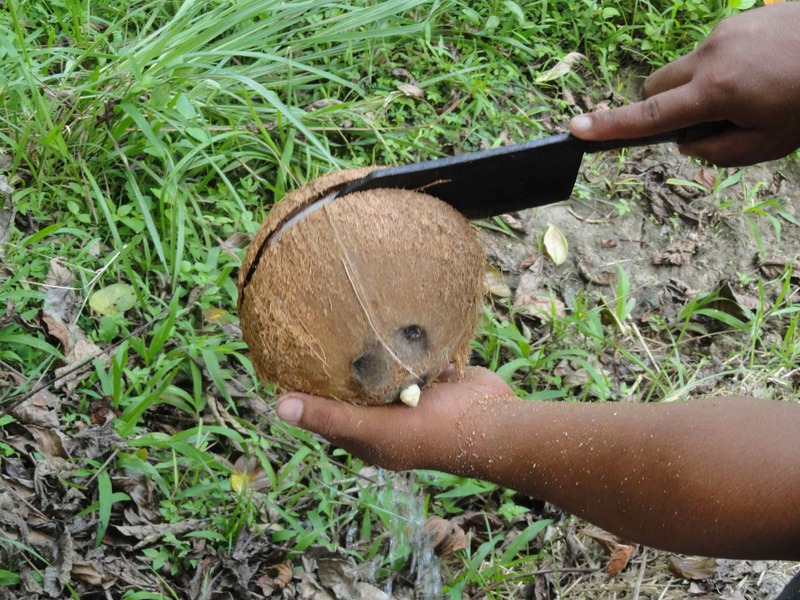 Once the outer shell has been opened, you’ll find a smaller shell where the coconut meat is located. The inner harder shell needs to be split open with a large, heavy knife to reach the rich meat. This shell is very hard, so a sturdy knife is necessary. 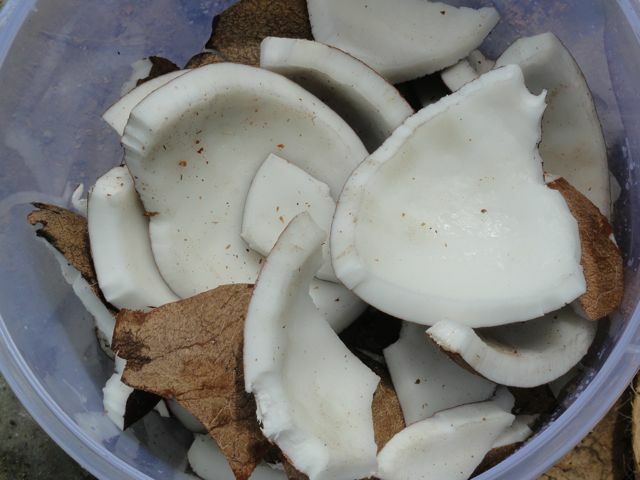 The meat can be used for coconut flakes, added to smoothies, dehydrated coconut chips, or oil production for a wonderful boost in essential vitamins and nutrients. Be sure to read step 2 here and step 3 here! 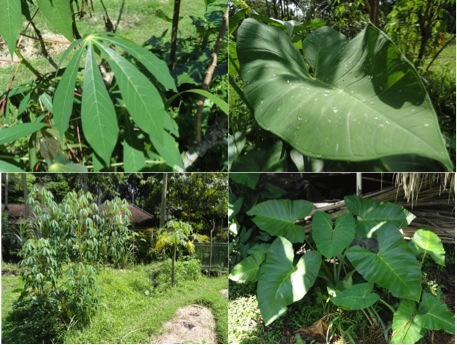 Have you ever felt inspired to produce your own coconut oil? Have you tried this method? If so, how did it work out? If not, what other methods have you used? 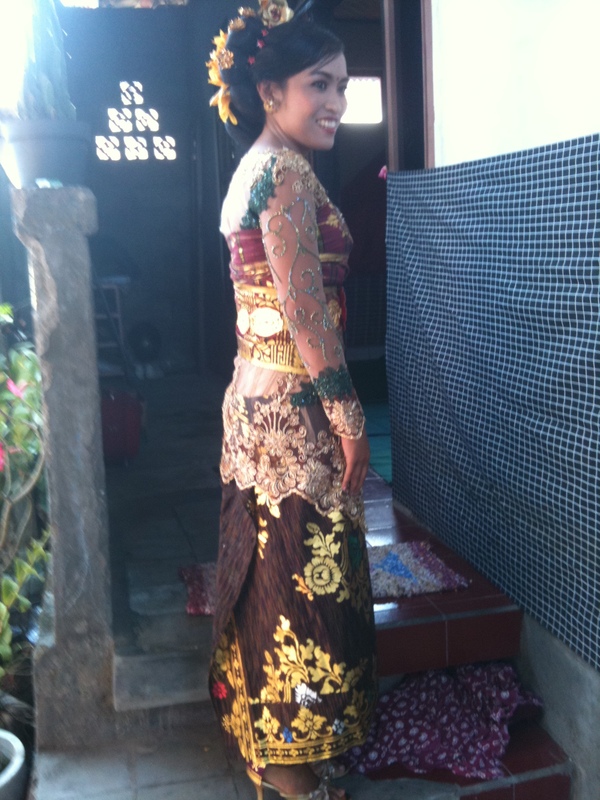 Our long time support and volunteer at Jiwa Damai Philippe fell in love with a beautiful Balinese woman, Ari, and they were married in a traditional Balinese wedding ceremony last week. 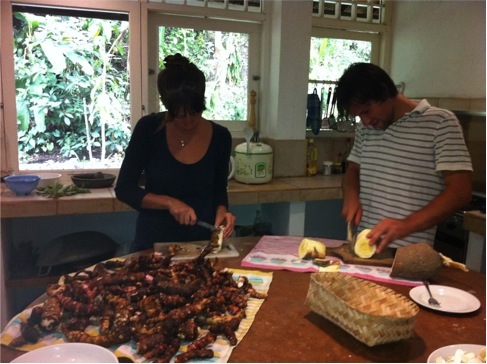 We wish our Swiss and Balinese combination much happiness ever there after.